In a comment to a post on this blog two or three days ago, Richard Polt flagged an announcement he was about to make regarding Instagram. I'm sure I was like anyone else who read the comment: deeply curious. 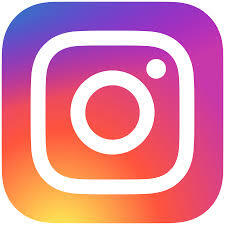 In my post I mentioned that I had joined Instagram about nine months ago, and wasn't all that impressed by it. 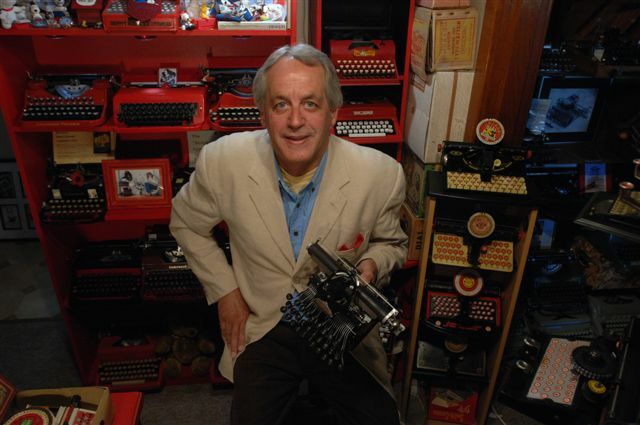 Richard's announcement duly came on his The Typewriter Revolution blog at midnight my time last night. What I wasn't expecting was that, after 1000 Instagram posts, Richard has decided to bow out of that particular branch of social media - well, not entirely, but almost. At the time of his announcement, Richard had a staggering 4323 followers (and was following 1189 others, including myself). In a post on February 16, 2016, he revealed he had 1600 followers, so the rapid growth in the popularity of his Instagram posts is quite evident - a lift of 2700 in a little more than two years. My own figures are paltry by comparison (440 posts, a mere 178 followers). Still, these figures aren't all that relevant. It's keeping up with the posts of 1189 others that I find mindboggling. I follow 148 grammers, and that's time-consuming enough. Just when you think you've caught up, you have to keep scrolling down, because Instagram has rudely snuck in five or six more ads for you to delete, additionally demanding to know why you've deleted them. And being one of 4.5 million grammers following Tom Hanks (who only follows Rita Wilson anyway) is just a silly waste of time. So, too, I suppose, is following as many typewriter sellers as I do, since I'm no longer in the market to buy them. At first I didn't find the typewriter community on Instagram as friendly and happy as Richard did. Richard very kindly reposted a post of mine about offloading typewriters, and I found myself being called a philistine and the entire nation of Australia being insulted (this from a country which has Donald Trump as its president!). But as time went by, this wasn't what bugged me about Instagram most. I kept seeing images from this blog appearing without any credit given, most especially by the Boston Typewriter Orchestra. On July 30 last, the Boston Typewriter Orchestra used the image I'd worked on without so much as a word about where it came from. I pointed this out in a comment on the post, but there was no response, so I gave up bothering. In fact, the uncredited lifting of images from this blog just increased. I'm pretty much free and easy when it comes to using images, but I try to ensure that if I take one from the Internet, I mention its origin. I expect others to do the same. My use of Instagram is, I suspect, somewhat different to Richard's, who initially set out to promote his book The Typewriter Revolution on various forms of social media. My Instagram posts include a whole range of things - typewriters just happen to among them. Instagram helps me keep abreast of my other great passion (apart from my partner), which is rugby. I also found it useful for getting back in touch people with whom I'd lost contact, like Piotr Trumpiel and Adwoa Bart-Plange, both of whom used to have such wonderful typewriter blogs, as well as following the Chapmans in England. Instagram is also probably as good as Facebook for finding out what close friends and family (now much extended, thanks to my partner) are up to. In strictly typewriter terms, however, I feel I'm a little like Richard in becoming increasingly disillusioned with the sheer superficiality of Instagram posts. Initially I was amazed that so many people I'd never heard of were doing so much with typewriters. After a while, however, as wonderful as the typewriter images are, one is left craving for more depth to the posts. Yes, that's the thing: lack of depth. Depth isn't impossible on Instagram, but it goes against the grain of the app. I don't do any social media. I've yet to find a serious use for it. You point out a big problem with the internet in general Robert. Others lifting the images and work of others, giving no credit as to its origin, and many times using it for commercial purposes. That is one reason I generally do not do much to make decent images for posting. None of mine ever come close to any film I've shot or professional work I've done so hopefully they do not get lifted for commercial purposes.